Yippeee!!! It's almost official. We are coming home to the Philippines in December. After five years of yearning to spend Christmas in our home country, we are finally spending it there this year. Almost official because we haven't booked our return flights yet but the husband's flight reservations are good to go. Now all I need to do is make some preparations. I even have my own notebook for that list. The contents? That's a SECRET. But I really do need a light luggage, one that will not take a major fraction of our limited baggage allowance of 30 kilos (we are flying Economy after all). I was at the luggage department of Galeria Kaufhof yesterday, albeit for a few minutes to have a quick look and found some really light luggage from Samsonite and Rimowa to name a few. There are even some items on sale. I guess I will have to start saving up for luggage since our old ones are quite heavy. I fear that since we will be going home in time for Christmas, I will need to pack up gifts for everyone! 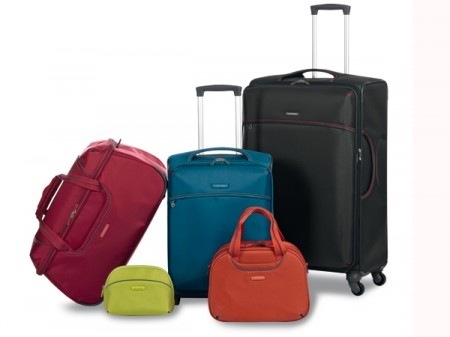 There is also the Cosmolite, Samsonite's lightest and strongest hardside luggage, thanks to the latest CURV technology but for double the price of the B-Lite Fresh.